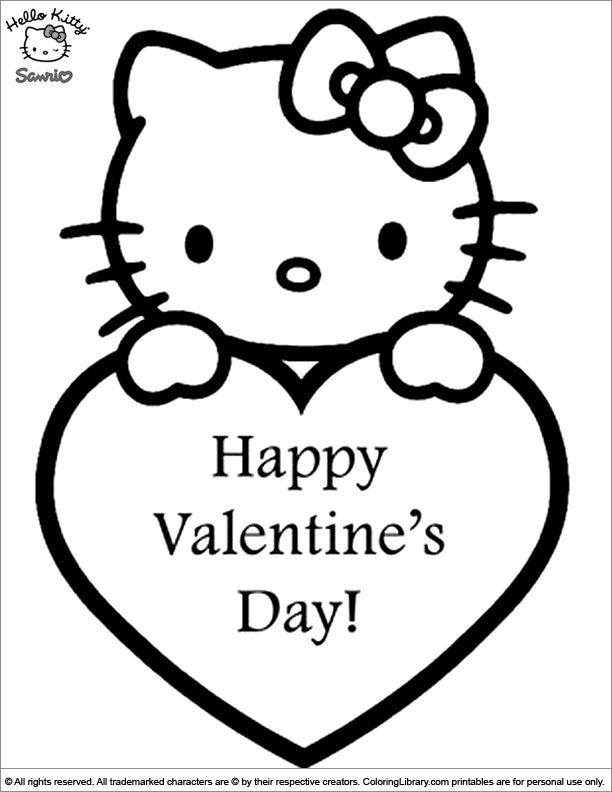 A fun Hello Kitty printable coloring page for kids who love to get creative. Grab a bunch of printable Hello Kitty coloring pages for rainy days and create your own coloring book. And remember, you can express yourself freely by coloring outside the lines if you want, choose any color want and perhaps even use some glue and glitter. Because there is nothing more fun than your own imagination while creating a piece of coloring art! Your child will have to think about different color combinations and play around with colors what they enjoy, start coloring the Hello Kitty printable coloring page.